It’s always good to see a new title back from the printers. 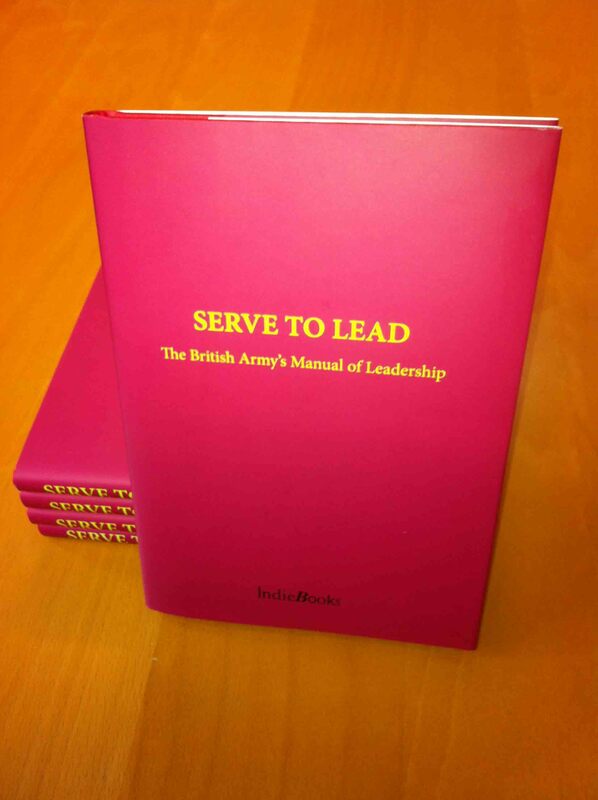 Here are some copies of ‘Serve to Lead’ ready to be admired. This was the manual on leadership given to each and every cadet officer when they arrived at the Royal Military Academy at Sandhurst. Now, for the first time, we’re making it available to a wider public – but we’ve kept the original look and feel (except for a matching dust wrapper to go with the red Weblin cover – and a rather good introduction by Robin Matthews, who had his own copy from his time in the Army, including commanding the Light Dragoons in Afghanistan.